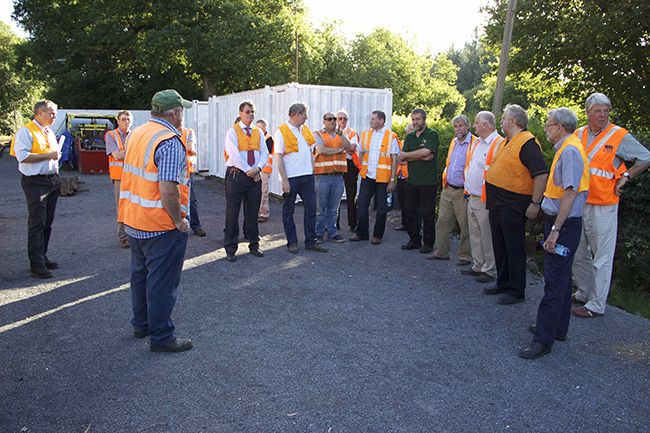 The South Devon Railway Trust Board made its annual inspection of the line on the 26th July. SDRT chair Alan Taylor had invited members of the SDR Engineering and SDR PLC boards to join the group, together with members of the SDR Association's management committee. 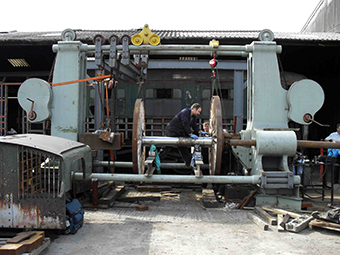 They started by visiting two of the important facilities at Buckfastleigh: the engineering workshops and the carriage & wagon shop in the former goods shed. 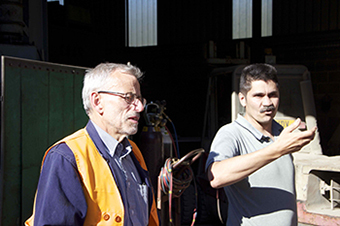 Rob le Chevalier gave a guided tour of the boiler shop and outlined current work in progress, and continued into the main workshop where he showed the new journal lathe. He then outlined plans to extend the workshops by constructing an additional lean-to section on the river side of the building, which would necessitate moving the existing roadway by about 5 metres. This would allow the wheel press to be brought under cover, and significantly increase the capacity of the works. More staff and volunteers would be needed. Space freed by the wheel press could be used to relocate the enginemen’s lobby. 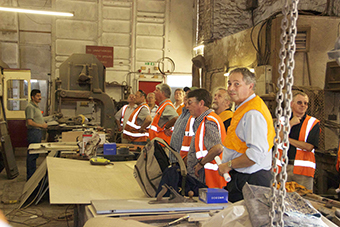 Rob then spoke about the problems encountered every day by Carriage & Wagon staff and volunteers, and John Haslam outlined ideas to improve working conditions in “B” shop with a false ceiling and by cladding the walls. 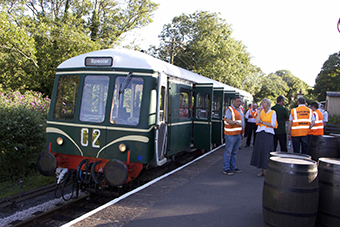 The group then boarded the bubblecar for an inspection of the line, stopping to look (amongst others) at stability problems with the formation at Bulkamore siding, the lineside slip between Hood Bridge and Staverton, Staverton station and bar, and the Permanent Way yard. The group continued to Totnes to look at PW and S&T works in progress and planned, and then returned to Buckfastleigh for a ploughmans platter. 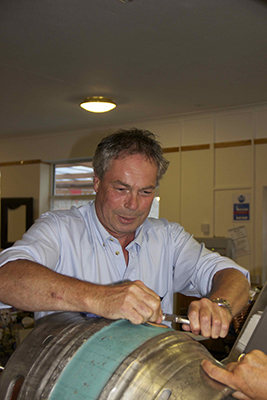 Some problems were encountered tapping the barrel of beer, but SDRT directors Allan Cash and Peter Treglown rose to the occasion and soon had the pints flowing.